SkyBound has created this product to cater to the needs of worried users who wish to provide their family with a fun and safe play tool. Stratos is a premium trampoline that encourages everyone to follow an active and fun lifestyle without too much of a fuss. 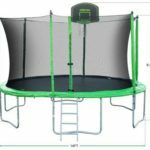 For those who don’t know much about this trampoline, it meets the ASTM U.S. Trampoline Safety guidelines. Also, it’s made to withstand outdoor harshness like a boss. As such, it’s sold in three different sizes—12, 14 and 15 feet. The suggested weight limit is 330 lbs, and it’s recommended for ages 6 and above. What Do People say about the SkyBound Stratos Trampoline? Does it come with a Basketball Hoop? How many Boxes will you receive? 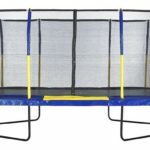 With more springs (the more, the better), high-quality mats, full enclosure net, and 12 galvanized steel poles, this SkyBound trampoline has quality written all over it. Given the soft and bouncy jumping mat, it almost feels like one is bouncing on a cloud. The designers should really receive an engineering award for this feat. 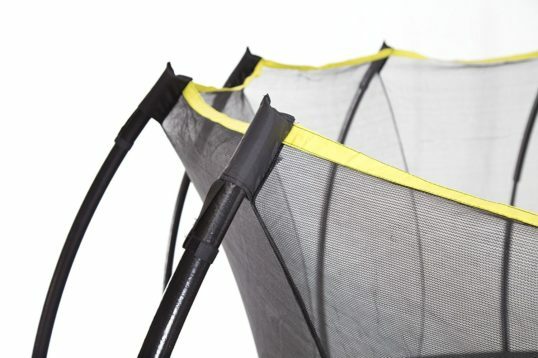 The trampoline is strong, big, and bouncier enough to fall in love with the product. It can handle rough use very well. Even misjudged jumps won’t hurt a user. 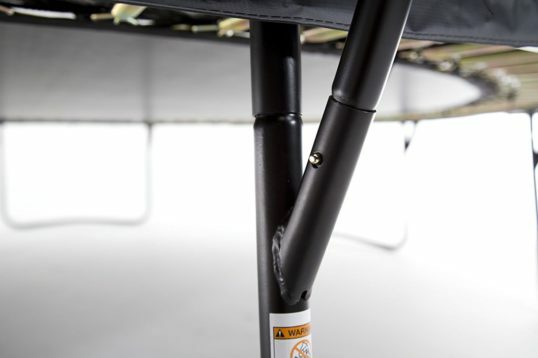 The makers include a 10-year warranty on the trampoline’s frame and 2-years on the mat. The net and springs also carry a warranty of 1-year. This impressive warranty has given users the confidence to try out the product without too much of a mental congestion. Most users have commented that they are desirously happy with the product’s performance, function, and durability. All the favorable reviews found across major shopping platforms proves that the majority of the customers love Skybound Stratos. For extra fun, one can add a basketball hoop to this trampoline, but it’s not a part of the deal. So, you will have to purchase one on your own. Given the parts and components, the item is shipped in 3 different boxes. All of them arrive at the same time, but they all do not weigh the same. For your information, here are the weight stats for the three boxes; 115 lbs, 103 lbs, and 65 lbs. The trampoline is built for daily basis. It not only provides better bounce and comfort than its rivals, but it can also take a lot of beatings for several years to come. Large-sized individuals can use this trampoline too. 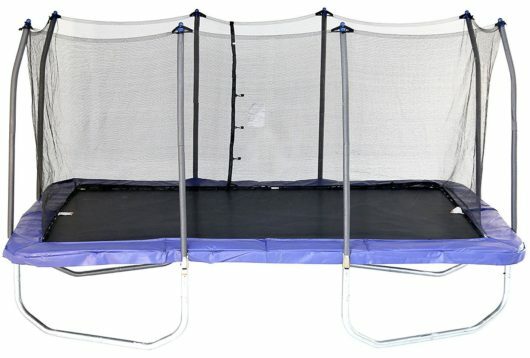 Moreover, it offers enough space for jumping and bouncing to avoid bumping into one another. 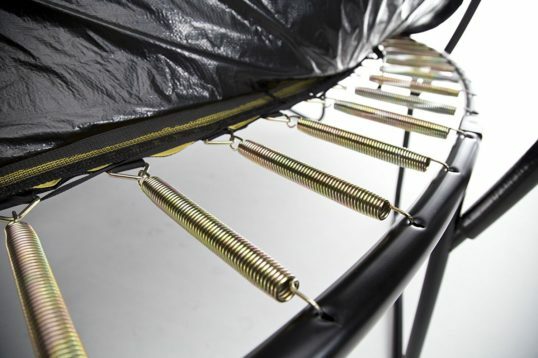 The trampoline is easy and quick to construct by a single person. Of course, one helper can improve the assembly speed by a landslide. This is one of the expensive models out there, though not the most expensive. 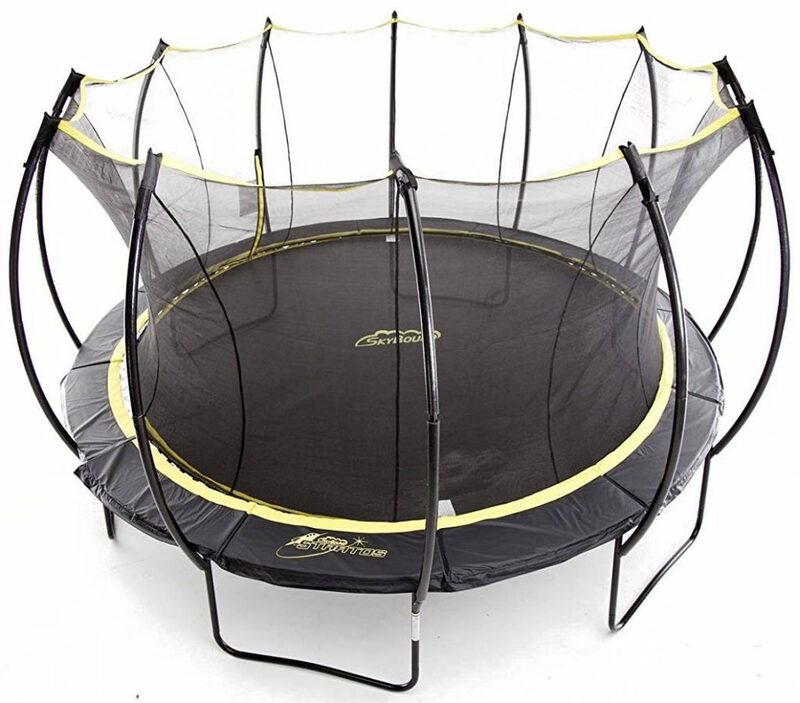 But, if you have deep pockets to acquire this trampoline, you won’t regret purchasing the product. 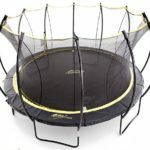 If you are searching for an inexpensive trampoline that can be used once in a while, this product may not be for you. 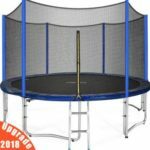 But, if you are looking for a nice, heavy-duty trampoline for regular use, this SkyBound Stratos Trampoline can fit into your needs and budget. The trampoline can live twice the life of an inexpensive trampoline. So, it’s worth spending some extra money for a trampoline of this quality.